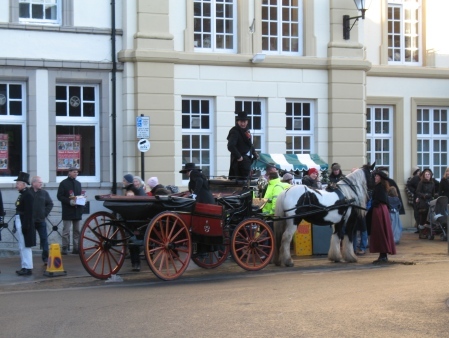 Ulverston’s Victorian style 2 day Dickensian Festival attracts thousands of visitors each year. 2011 sees the 13th anniversary of one of the most popular Dickensian events in the country. Local shopkeepers are in period dress selling old fashioned food, gifts, crafts and toys and there is usually a hog roast to be enjoyed and a glass of mulled wine. 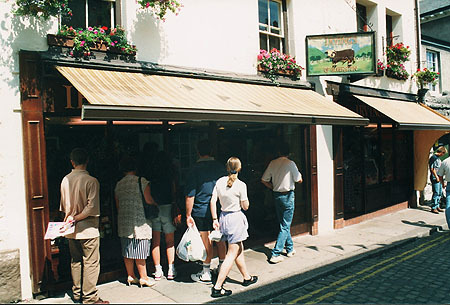 The Christmas Market features Made in Cumbria food and craft sections. Both days have free entertainment with two stages and street music including hand bell ringers and brass bands. You’ll find Santa wandering the cobbled streets enjoying the thrill of the amazing Flea Circus, and browsing the Christmas Market and Antiques Fair for Xmas Gifts. 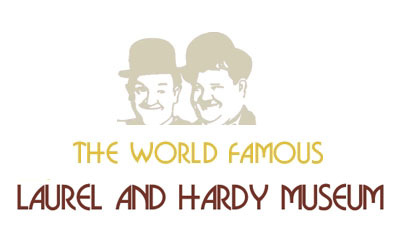 There is a traditional fairground and lots of music including fairground organs. Come to Ulverston for Christmas gifts and crack on with your Christmas Shopping. Thank you Ulverston for this nostalgic start to Christmas. It is wonderful that we preserve these traditions….there is nothing quite like a hog roast and a glass of mulled wine to start off the Christmas season! Anyone know why – as it’s only only 3 weeks on Saturday to the 2010 Dickensian Festival – the website is still showing 2009? I would have thought anyone looking at that may think this years event isnt taking place!!!!! And it is the BEST festival that Ulverston puts on … and they’re all cracking events. I absolutly agree with the comments above. 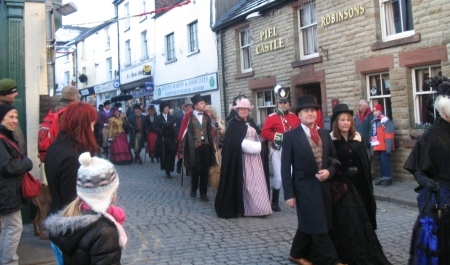 Ulverston Dickensian Christmas Festival is the very best to see. 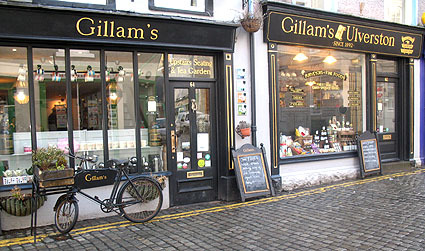 Forget the rest, Ulverston is the only one that really transforms itself, with it’s small cobbled streets and victorian fronted shops, into a Dickens Christmas world. With Hog roasts, hot Mulled wine, Brass bands playing, Children singing and Victorian Christmas parades, it has become a must for all my family. Get there early to find a good parking space and treat yourself to a traditional full English breakfast in one of the many cafe’s, before spending the day sorting your Christmas shopping out all in one place. I can’t wait to go ! Ulverston Christmas Festival, fantastic day out for young and old and even the in be-tweeners. Have been going on a Sunday since it started, even got my mother going and she loves it (and the furthest she goes is the local bingo). Cant wait for this year would recommend it to any one. Ulverston and its local people should be very proud of them-selves for the huge effort that every-body puts into it.